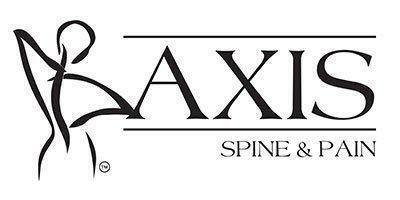 Axis Spine and Pain always appreciates feedback from our valued patients. To date, we’re thrilled to have collected 52 reviews with an average rating of 4.9 out of 5 stars. Please read what others are saying about Axis Spine and Pain below, and as always, we would love to collect your feedback. Thanks to the awesome care of Dr Vijay, Dr Viradia and the entire staff at Axis, I have the best possible resources and options to manage my chronic pain. My quality of life has been enabled ten-fold thanks to the outstanding care my health care team at Axis provides. They have the experience to adapt to my evolving needs and provide me with amazing results using the latest techniques and technology. Little pain at injection site. Good results. But I think the regular injections not epidural did more good. Send the hip injection was no good. Dr. Vijay has helped me many times with my severe back pain. He is a wonderful and caring Doctor. I highly recommend him. The medical staff is alway pleasant and understanding. The doctors are professional and genuinely care about your treatment. The doctors don't just listen to your problems. They also listen to your suggestions and your requests. The staff are hard working individuals who also care about your well being. Service in scheduling your appointments to meet your needs. Dr. Vijay is very good at helping you with pain. He listens and makes positive recommendations for relief. Very nice doctor. I was unable to walk without assistance for a few days when I scheduled an appointment with Dr. Covert. I was seen in a very timely manner, and Dr. Covert gave me a treatment plan to alleviate my pain. I had two ultrasound guided blocks, that immediately alleviated my pain. I walked out feeling 80-90% better than when I had walked in. In addition to my great visit, Dr. Covert followed up with me daily for several days. This I the best patient care I have ever experienced. I was in severe back pain and the only thing that allows me to function daily is the work that Doctor Vijay and his associates have provided me. They are masters of steel when administering spinal injections which stops the pain. I recommend them to anyone who is experiencing severe pain in the lower back or any other location that normal medical care hasn't helped! Staff listens well, is caring, and truly makes my experience a team effort. Pain is hard to live with, they make a difference. Dr. Vijay is a great doctor. He takes the time to talk to you and understand what is going with your body. He works with his patients. I would highly recommend him. Dr. VJ is great. Quick, listens well and is very gentle. I would recommend him to all! Dr Patel is always extremely pleasant, super smile, super concerned, super guy. Tops! Being a military dependent I’ve seen many different pain management doctors. Never have any been as kind and graciously understanding. It can’t be easy seeing people all day long that have so much pain to talk about. Thank you for giving me a better quality of life. Not sure I’d still be upright with out it. Everyone was so nice and patient with me and the injections are really helping me they just doesn’t last for long. Thanks everyone for all that you all do for me.